Catalogs.com is creating and powering Dynalog digital catalogs for big brand furniture retailers, including Tommy Bahama, Art Van and Baer’s, featuring extensive home furnishing and bedding products, and special promotions to showcase July furniture clearance events and announce August new furniture designs. Five leading furniture retailers have recently tapped the Dynalog platform, an elegant, game changing, digital shopping experience from Catalogs.com, to market their home furnishing, accessories and bedding lines. These stores – Lexington Home Brands / Tommy Bahama Home, Home and Patio Décor Center, Baer’s Furniture, Art Van Furniture and Hansen’s Furniture – are creating interactive digital catalogs with the Dynalog patent-pending platform to add a dynamic and engaging new shopper-centric tool to web, social media and email marketing plans. Furniture and bedding sales are expected to top $100 billion for the second straight year in 2016, according to Furniture/Today’s economic forecast. Furniture retailers prime their marketing efforts – leveraging the multichannel tools with the most potential for reaching and engaging consumers - for the July sales events, and for new merchandise roll-out in August. “Furniture retailers are finding a competitive advantage at all times of the year by using the Dynalog technology as their multi-channel platform because people are discovering more when they shop, they are seeing more furniture pieces in a beautifully merchandised format, and they are buying more,” says Richard Linevsky, Catalogs.com president. Linevsky reports that furniture stores and manufacturers are reaping solid results by using Dynalog technology to connect shoppers with their products. This digital catalog marketing solution makes furniture shopping fun, beautiful and completely interactive. Linevsky emphasizes that brands seeing the highest levels of engagement are those using the highly interactive Dynalog to showcase their furniture lines on every device: desktops, laptops, tablets and smartphones. 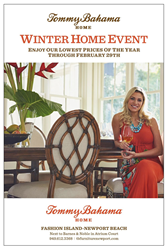 Lexington Home Brands – Tommy Bahama Home is an international/national leader in the manufacture of upscale home furnishings, with an award-winning product line of indoor and outdoor living designs. Home & Patio Décor Center specializes in online marketing of major brand manufacturers for home and patio furniture and décor. Baer’s Furniture is Florida’s premier furniture store specializing in quality name brand home and patio furniture, decor and mattresses. Art Van Furniture presents classic furniture reinvented for modern living. Art Van is a family run business operating 47 Art Van Furniture Stores and 54 PureSleep Mattress Stores in Michigan, Illinois, Indiana and Ohio. Hansen’s Furniture is one of the largest furniture retailers in California’s central valley with a large selection of quality manufacturers and home décor accessories. These furniture stores are leaders in international, national and regional markets, and are adding Dynalog to their marketing initiatives. As more furniture stores step onto the Dynalog digital catalog platform, Linevsky emphasizes, online shoppers will discover thousands of home furnishing options that they never even knew existed. “The Dynalog delivers shopper engagement, that’s the bottom line,” he adds. Catalogs.com has been connecting shoppers with their favorite brands and products since 1996. Their newest innovation, Dynalog, is a responsive, interactive catalog that makes catalog shopping easier than ever before. Catalogs.com provides shoppers with access to more than 700 retailers and their products through mail, online and mobile platforms.